That state of Self-absorption is delicious like nectar, and full of love, full of bliss, full of happiness, full of peace. All the saints have described this inner state. 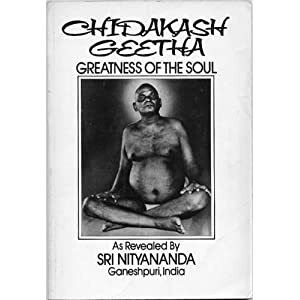 If someone were to ask me what gives meaning to my life, I could only say, “The name of my Guru.” I discovered everything within me by my Guru’s grace.” Bhagawan Shree Nityananda was a perfect Guru. His essential teaching was: the heart is the hub of all sacred places. Go there and roam. By remembering and worshipping such a Master, one becomes holy. I met my Guru when I was very young. I was almost sixteen and still in school. I was rather bored with my studies, but I was very active in play. I was very good at playing. Gurudev loved children, so whenever he came to our school all of us would leave our classes and follow him. The moment we followed him, he would start running and shouting. We would run after him, and then he would climb up a tree and sit on a branch. We would just stay there under the tree. He was a great walker too, he walked very fast. He walked in a strange way, in the state of an avadhut. Whenever he came to my school, the teachers would be very upset, but the children would follow him anyway. He would go into a candy store, reach into the containers, throw candy to the children, and then take off again. Still the shopkeepers never complained, because whenever he gave away their candy, their sales went up. So when he came to my school, I began to follow him too. Had this feeling that I wanted to become like him,, that such a thing would be better than anything else. In those days he didn’t stay in one place for very long. He kept walking and walking, day and night. He would walk forty miles a day, and then he would disappear. He wore just a loincloth, and he would walk and walk. Finally he went to Ganeshpuri where he settled permanently. After I met him, I have up school. I also started traveling…. …I searched intensely for God in caves, mountains, and forests. I do no remember in exactly how many temples I sought Him or in how many shrines I meditated on Him to no avail I prayed in so many different temples, but only hours slipped by and I was still without peace. 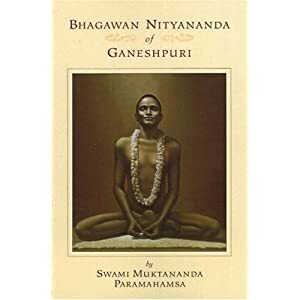 I practiced sever austerities, but they only emaciated my body without taking me close to God…. ‘Yes, Sir,’ I answered. I stood for a while and then sat down. There I realized the highest. I am still sitting there. We cannot attain the full grace of the Guru unless we become disciples. 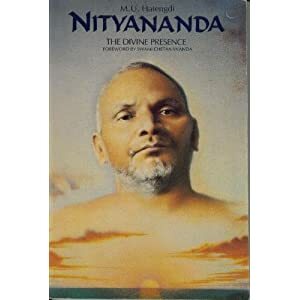 The great saint Brahmananda said, ‘Become ashes at the Guru’s feet and then you will meet God.’ We have to allow the Guru to work on us, we have to dissolve our ego and pride at his feet. We may adopt a particular Guru and keep his picture on our wall and feel something when we look at it. We may have certain experiences when we meet that Guru. But if we want to be totally transformed, if we want our heart to be washed of all the filth that has accumulated there, if we want to attain everything the Guru has to give, we have to offer ourselves to the Guru without reservation. That is what it means to become a disciple. Just as you give a piece of clothing to a launderer and let him do whatever has to be done, you have to give yourself to the Guru completely and permit him to remold and reshape you in whatever way he likes…. …I did not make any overt gestures to please my Guru. I pleased him from within by obeying his wishes and commands fully. When I would sit for meditation, different lights would appear: the red light, the white light, the black light, and finally the blue light. Then a golden saffron light would appear, and the Guru would appear within that light. I would then receive instructions from him. The more I watched the blue dot, the more I loved it. The more I loved it, the happier I became. I though I had attained everything. I began to revel in that blue dot. At this point I was very proud and I went to meet my Guru. He said, ‘You have a long way left. Go! Just go! Right now, leave this place. So I turned away and went back. Once again, I became absorbed in meditation. I received a lot of understanding from the Blue Pearl. To bring one’s Shakti under control is Samadhi. Samadhi is the upward breath. The upward breath is Taraka Brahma (Brahma in the head). When upward breath is attained, the whole world is within you. It is the same in all creatures. Raja Yogi is one with the Infinite Movement—talking, sitting, or walking. Raja Yoga is like sitting upstairs and looking below. Raja Yoga is the chief among all yogas. When Buddhi and Knowledge aer together, that is Raja Yoga. It is Peace, devoid of form, devoid of quality. Bliss has no quality. And what has no quality whatever, is Jivanmukti. …The Shakti that is Omkara is everywhere, pervading in the formless state. The Shakti that is Omkara is the light in all directions. The Mind with eternal delight is the subtle seed in all things. Let that be nourished without discrimination. Mind, with eternal delight is without taint. That mind is without disease, the Buddhi in all, the Creator, giver of the Call, Witness of All, is the Sat for both Here and the Beyond. That is spread everywhere, without and within. That, as the Cause, Effect and Doer, is the Witness for all Knowledge and Gnosis. OM! Atmain the Taintless, the Witness of All, the Universal Guru, Radiant Universal, The Universal Mother, Universal Father, the OMKARA Bindu: OM, the Supreme, Movable, the Patent.OMis the Core, the Ultimate, OM!OM!